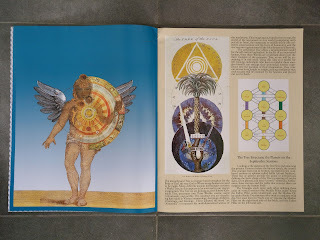 Mr. La-luna's Tarot Blog: Tarot of the Holy Light - something special and new! 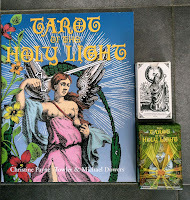 Tarot of the Holy Light - something special and new! 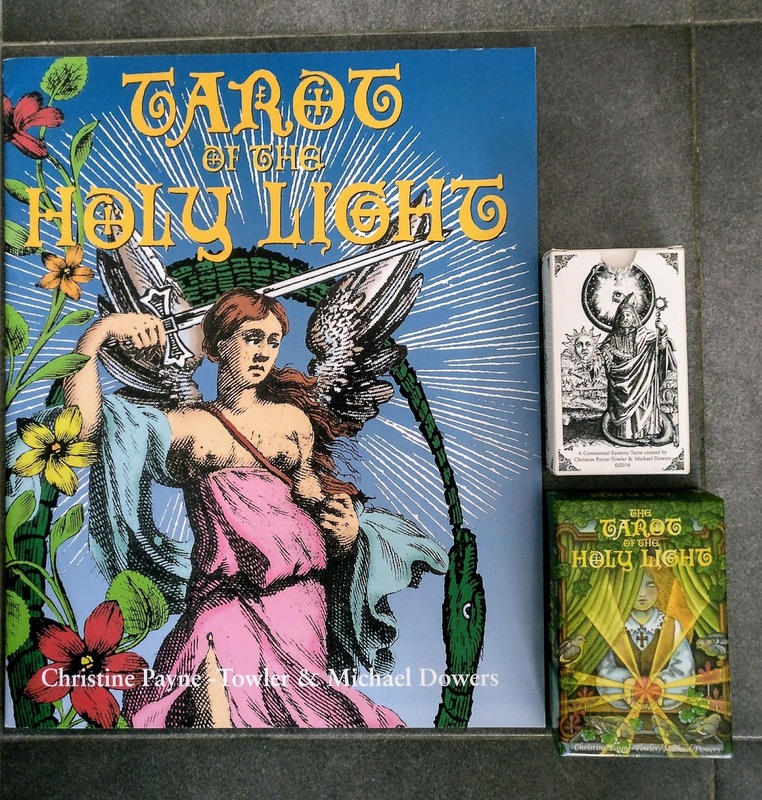 Today the postman brought me the opposite of a LWB, a GCB (Giant Colour Book) of the Tarot of the Holy Light, by Christine Payne-Towler & Michael Dowers, and yes this special format of their creation gets my seal of approval, 2 thumbs up and a fitting place in my collection! 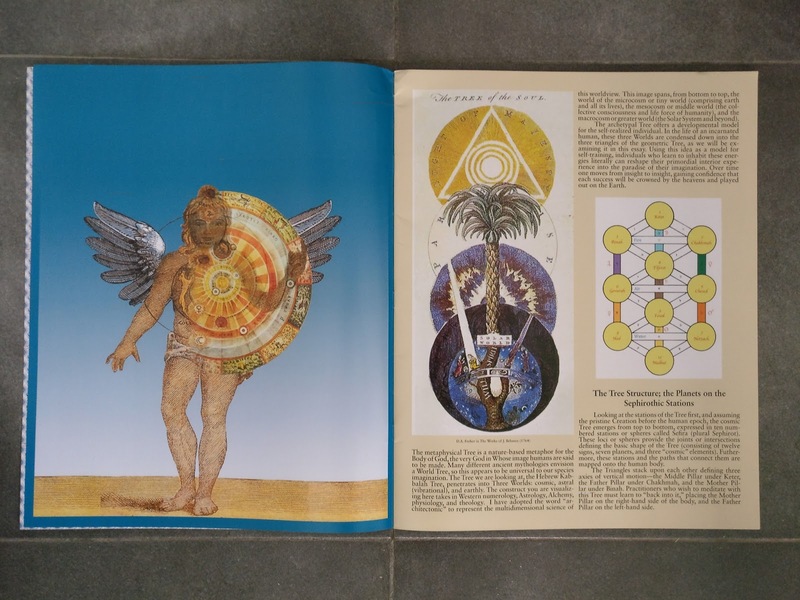 This large-sized booklet (in size similar to a journal - I've put both other card editions beside it for size comparison) is more than just "a blown up" little white book, it feels similar to print-work one can sometimes get at a vernissage - containing the background, worked out theme and images of the works presented.